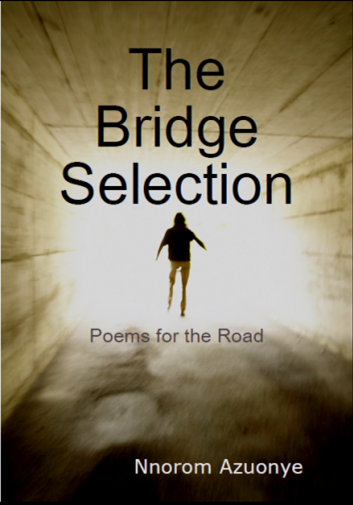 The First Edition of The Bridge Selection was published in December 2005 by Poetry Monthly Press in association with Eastern Light Publishers. 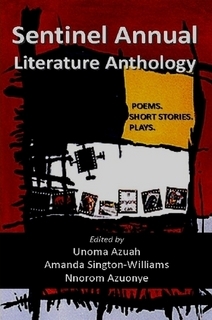 This revised, Second Edition (with additional poems) has been published in July 2012 by SPM Publications. "The Bridge Selection is a rippling darkling delightful read from a big warm heart to a cold unfeeling world. I've enjoyed doing time in it." "Nnorom Azuonye looks at the human condition through the prism of Africa, thus using at the same time the eyes of an insider and an outsider...Definitely a disturbing, unforgettable, thought-provoking read." - John Francis Haines (author of Other Places, Other Times) New Hope International review. "The Bridge Selection, is characterized by a passionate intensity which imbues his lines with lyrical tenderness and defiant hope...The poems plumb the depths of varied human emotions traversing different emotional trajectories and planes...Whether writing about war; the American carnage in Iraq, the collateral damage from the war...or about abortion...despair never manages to eclipse hope..."
"The Bridge Selection demonstrates the tensions informing aesthetic choices in the diasporic writing of a generation of Nigerian literature."